A pictorial and musical journey in Grant's cartoons. 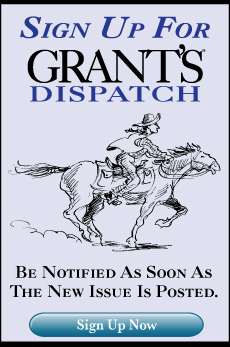 . .
See what Grant's offers for yourself. 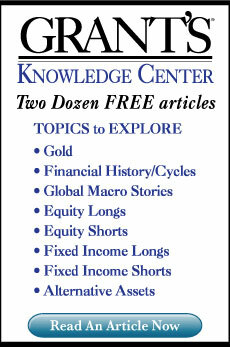 Download selected issues and articles for FREE! 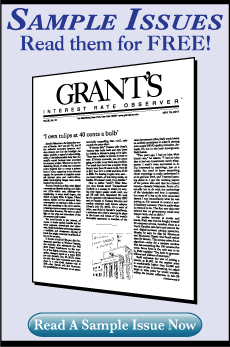 Grant's is an independent, value-oriented and contrary-minded journal of the financial markets. 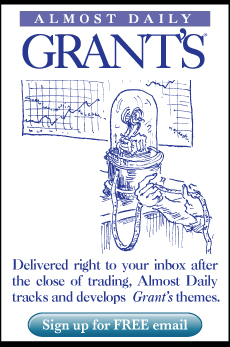 James Grant is the author of these books on finance and American history. 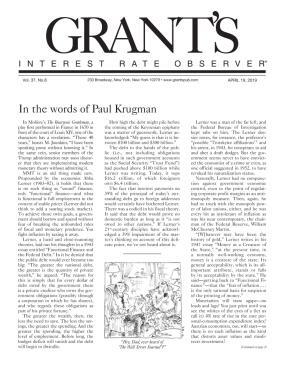 Peruse a baker's dozen of articles Grant's produced at some of the critical junctures in the past generation. Click the link to see what we had to say when opportunity knocked. 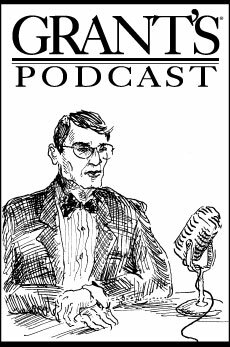 Barclay Leib, founder and principal of Sand Spring Advisors, LLC, comes by the office to discuss asset allocation, forensic accounting and Wall Street history. What the figures say is obvious enough. But what do they mean? Click for a guided tour of the statistics.